Have you ever tried to make your own board game? My mom actually used to make games for me as a kid, but for some reason I’ve never got creative enough to make them for my own. I’m looking to these amazing DIY ideas to help me out! 1. This cute caterpillar game is a great way to work on math or language skills while also reinforcing the concept of a caterpillar metamorphosis into a butterfly. 2. Here is a very simplified version of scrabble that is perfect young ones who are learning to read. From Mom Favorites. 3. Make a family game of checkers with fabric as the board and milk jug lids as the pieces! You can paint the lids in your two color choices if you don’t have enough of the same color. From An Idea on Tuesday. 4. Use sandwich cookies as game pieces with this homemade othello game! All you need for the board is a little painters tape. 5. This counting game is perfect for learning numbers and developing early math skills. Plus, it makes math fun! 6. This rainbow game is perfect for getting your kids moving. Place these printable board pieces on the floor and toss a bean bag. Whichever activity they land on they must complete! From Toddler Approved. 7. If you have a lego lover in your house they will love this lego game from Inspired by Family. There is a wonderful set of printable game cards to go along with it. 8. For a fun outdoor game, try color land run from 3 Boys and a Dog. This game builds literacy and math skills and gets kids playing. 9. 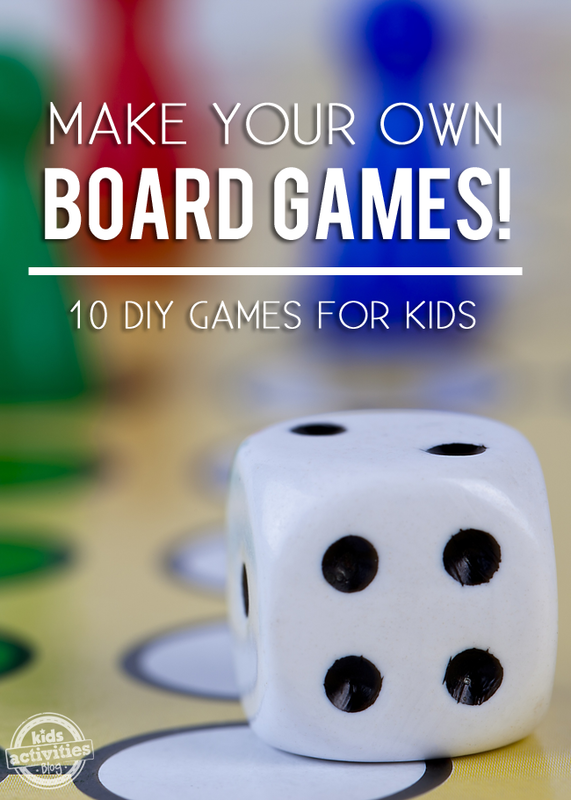 You can make your own board game and base it on any fun activity your kids love like going to Grandma’s house. From Octavia and Vicky. 10. Play this file folder map game with your child to help develop life long map reading skills. So many great ideas! Can’t wait to try them out! Thanks for sharing the guest post I did for 3 Boys and a Dog. I can’t wait to try out some of these games when my girl is a little older. Especially the map game, I love that one! Each day could be a new quest!